Outstanding production. Lesson learned. One gap. 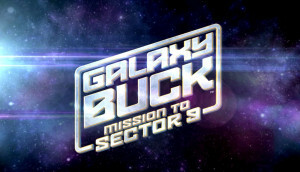 Buck Denver, a Gospel Galaxy with Pastor Paul call center representative, feels like he isn’t doing any good. He doesn’t want to be a “tote bag guy,” he wants to be a “big thing guy.” When he takes a call from Sector 9 that is suffering a service interruption, Buck decides to take the issue straight to the top – to Pastor Paul. The two repair ships are out and it will be weeks before someone can fix the transponder. Fortunately, Buck has been studying to be a ship captain – on an app – and just needs a chance to take the third ship and repair it himself. Why? 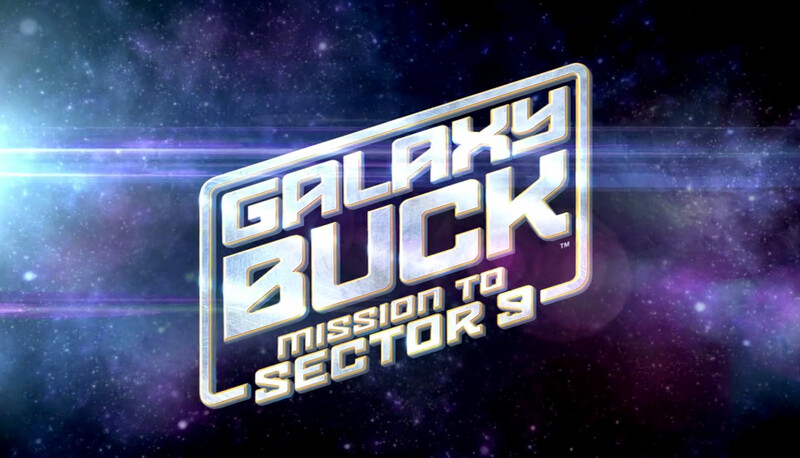 Because “God wants us to do big things!” Quickly selecting a crew, Buck takes a ship and the adventure is on. This new story by Phil Vischer, best known as the creator of VeggieTales, uses his popular Buck Denver character from What’s In The Bible. The Phil Vischer Podcast is one that I follow and listen to regularly. I’ve also read Vischer’s book, Me, Myself and Bob (2008), about the rise and fall of his Big Idea Entertainment (the company that owned VeggieTales prior to its sale to DreamWorks Classics.) All this to say that I’ve been hearing about and looking forward to this 40 minute show for most of this year. Overall, I’m very happy with the final product and look forward to showing it to my children. The production looks outstanding. Vischer filmed his puppets on green screen and digitally inserted the really built sets and very good digital effects. Each puppet is really well animated and looks great. The voices will be recognizable as variations of Vischer’s other characters. This science fiction story includes quite a bit of tongue-in-cheek references and Easter eggs for fans of both Star Trek and Star Wars. The ship, uniforms, how they solve issues and even the lens flares are all Trek (including Abrams’ Trek). There is a scene under water that is very reminiscent of the underwater scene on Naboo from Star Wars Episode 1. Even the scene wipes are Wars. When Buck finds an Obi Wan-like hermit, he finds someone to break the monotony of his simplistic non-stop “God wants me to do big things!” message. A minor complaint that I have is that there isn’t diversity on display in the puppets. Buck, Pastor Paul and three out of four ship members are all peach/white. One is blue. The hermit is also blue and says he is from another planet. [SPOILER] The inhabitants of Sector 9 are ant-like, blue creatures. [END SPOILERS] Humans are peach/white. Aliens are blue. Children from non-white households won’t find anyone to identify with. No black, brown, Asian, islander, or native puppets exist. There are also only two females out of the 11 characters on the show and both are “other” rather than normal. One is an old lady and one is an alien. I think this could have been done just a little differently to be more inclusive. Honestly, after listening to Vischer’s podcast I’m surprised this happened. The message of God Wants You (no: To Do Big Things!) is right on target. It is clear, easy to digest and spot on theologically. The Rule of Love is easy to appreciate. Congrats to N. Priebe of Rockvale, TN for winning a copy of this! This movie screener was provided for the purpose of evaluation. Great review! Sounds like a video the family and I should check out. Great message.